The process of growth and development of your Little One is influenced by several factors including genetic and environmental. For an optimal growth and development process, Daddy and Mommy should meet the needs of the Little One, such as nutrition, stimulation, immunization, playing activities, and adequate rest time. Games consisting of household items (such as plates, plastic spoons, and others), cardboard, drawing books, crayons. By inviting the Little One to play, Mommy not only train the physical course but also provide stimulation in the way of thinking. Therefore, it is important for the Little One to get stimulated according to the age and need. No need to be confused and be ran out of ideas, Mommy can now access Morinaga Multiple Intelligence Play Plan to get a variety of play plans that are useful to optimize the process of growth and development of the Little One. After determining the activity to be done, Mommy can arrange and print the play plan that has been made. Afterwards, the play plan can be affixed in the family room for a maximal preparation of playing activities. Don’t you think it’s fun? Singapore Flu is an infectious infection caused by a virus. Generally, this disease attacks the Little Ones who are under 10 years old. 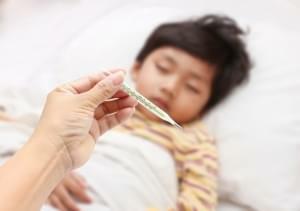 What are the symptoms of Singapore flu? Duh, in just a blink, your Little One will blow out his/her first birthday candle, in another month. But, really, he/she has not shown any signs of able to walk yet? Breast milk is the best food that can be given to the child. The complete nutritional contents of breast milk can fulfill the daily requirements of the child exclusively for the first 6 months of life.